The Honeywell HEPA-clean compact air purifier HHT-011 is small and lightweight. 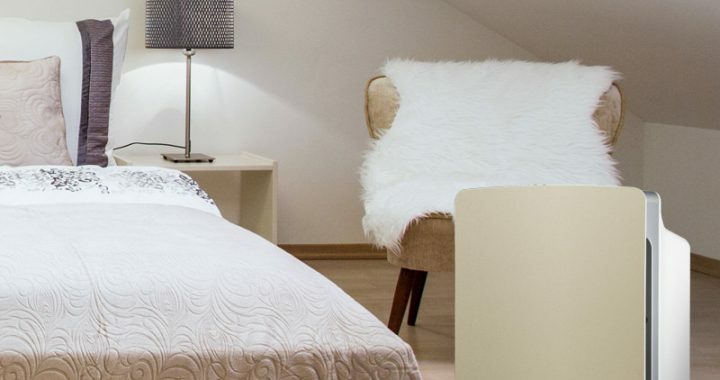 Effective for small rooms up to 85 square feet (8m) and low price. The Honeywell HHT-011 is not very stylish. The design is simple, looks more like a heater. 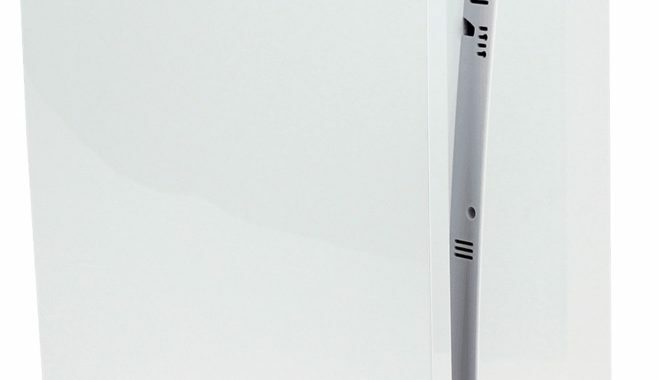 It is in white color and made from plastic. An air purifier is small size, height is 10.7in (27cm), width – 6.5in (16.5cm), depth – 14in (35.5cm). Weight is appropriate to the size, only 6.5lbs (3kg). So this air purifier is easily portable. Best place for it is a table or shelf. You can place it close to the wall because air outlet is on the top. You can also choose to put it horizontally or vertically. The Honeywell HHT-011 works with a fan. Air is cleaned by filters. The first filter which comes in contact with dirty air is washable pre-filter. It captures biggest particles such as dust, pollen, pet plumage. Then is a permanent HEPA-clean filter. This is not a true-HEPA filter. It is an HEPA-type filter. It captures up to 99% of airborne particles such as mold spores, pet dander, pollen, dust. The manufacturer says that this filter is vacuumable and you don’t have to change it. In reality, you will have to change it because an air purifier will work louder and louder and you can’t clean filter as clean as it is new. This unit also has an ionizer. The function is to make your air feel fresher. Ionizer emits ozone so I would recommend to not use it. The good thing is that there is a switch to turn it on/off. Digital controls. Switch for 3-speed settings and switch for on/off ionizer. Filter clean indicator light turns on when the filter needs to be cleaned. Green light to see controls at night. Loud on high speed. Quiet on low speed but still sounds like a little white noise. Maybe disturbing at night. Recommended room size 85 square feet times ceiling height 8 feet is 680 cubic feet. Time needed to all room air go through an air purifier. A red light will illuminate when it is time to clean a filter. Pre-filter is washable and HEPA-type filter should be vacuumed. If an air purifier starts to make louder noise after you have cleaned filters, it is time to change filters. You can’t clean them evermore. Filters change is very easy. Just open the front cover and you got them. Power consumption on the low setting it’s 24 watts, medium 30 watts, and high 49 watts. 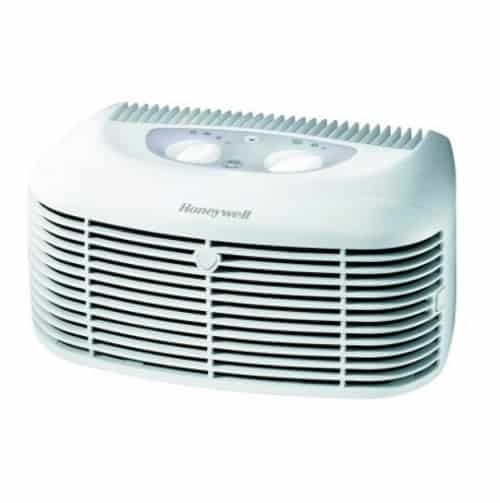 The Honeywell HHT-011 HEPA-clean compact air purifier is best for very small rooms for general air quality. An air purifier is cheap, small and easy to maintain. Click here to see how Honeywell HHT-011 looks compared to its competitors. Visit my blog for other air purifier reviews! Read my full air purifiers buying guide here. Posted in Air Purifier Reviews and tagged Air Purifier, Air Purifier review, best air purifier review, HEPA, Honeywell HHT-011.